Anyway, I wanted to share my super quick and easy vegan pancake recipe with you all today so that you have plenty of time to get your ingredients in for tomorrow. 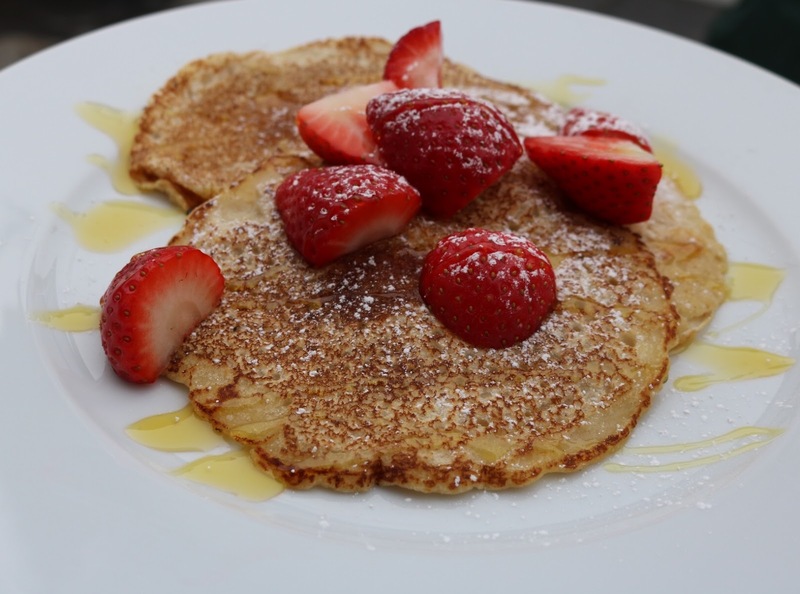 I personally love mine with strawberries and maple syrup so I have included these within the ingredients list but i've also provided you with some other vegan friendly pancake toppings at the end too. When I first tried these pancakes a coupe of years ago I just couldn't believe that they are dairy free and basically taste exactly the same as regular pancakes. It's pretty amazing! Sift the flour, sugar, baking powder and salt into a large bowl. Finish by topping with strawberries, maple syrup & icing sugar. Alternatively you could try a traditional favourite and add lemon juice & sugar. If you love your fruit you could add sultanas to the mix and load them on top with some bananas and blueberries too. Other vegan favourites include baked apple with cinnamon, vegan squirty cream and dark chocolate chips, or why not try making up your own vegan version of Nutella by using this really great recipe. The choices are really endless when it comes to pancakes and I love to experiment with different toppings. I know some people who also enjoy making up savoury versions but personally they've always been a sweet treat for me! Let me know if you have a go at making these tomorrow and i'd love to see some photos of your creations so feel free to email me or send me a tweet! What are your favourite vegan pancakes? Have a 'flipping' happy vegan Pancake Day everyone! Its looks so delicious. I love pancakes.Your preparation methods make me happy, is a simple recipe.Thank you so much for sharing this cooking tips for making good and delicious pancakes.Best writing resources is not easy to find ,that are evaluated by you and get help from well known writers with various kind of writing. Writing resources offering essay help online which is highly confident.